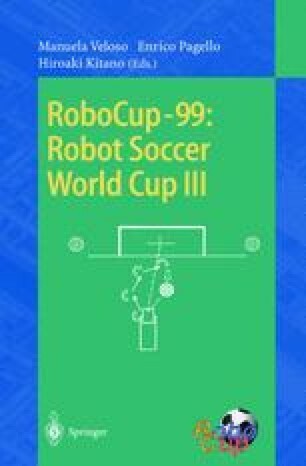 Arvand is a robot specially designed and constructed for playing soccer according to RoboCup rules and regulations for the medium size robots. This robot consists of three main parts: mechanics (motion mechanism and kicker), hardware (image acquisition, processing unit and control unit) and software (image processing, wireless communication, motion control and decision making). The motion mechanism is based on a drive unit, a steer unit and a castor wheel. We designed a special control board which uses two microcontrollers to carry out the software system decisions and transfers them to the robot mechanics. The software system written in C++ performs real time image processing and object recognition. Playing algorithms are based on deterministic methods. We have constructed 4 such robots and successfully tested them in a soccer field according to RoboCup regulations for middle size robots.